Turkey has over 2.5 goals in their last 3 away international matches. Turkey has over 2.5 goals in their last 6 international matches. Turkey scored in last 3 away international matches. Turkey scored in last 8 international matches. Turkey scored over 1.5 goals in last 3 away international matches. Santos has under 2.5 goals in their last 6 home games in Serie A (Brazil). Vasco da Gama allowed opponents to score over 1.5 goals in last 6 games in Serie A (Brazil). Internacional won their last 3 home games in Serie A (Brazil). Palmeiras scored in last 7 games in Serie A (Brazil). Gremio scored in last 6 games in Serie A (Brazil). Santos allowed opponents to score over 1.5 goals in last 10 home games in Serie A (Brazil). Parana Clube lost their last 11 away games in Serie A (Brazil). Vasco da Gama ended draw their last 3 games in Serie A (Brazil). Internacional scored in last 6 games in Serie A (Brazil). Parana Clube didn’t score in last 11 away games in Serie A (Brazil). Bahia allowed opponents to score over 1.5 goals in last 14 home games in Serie A (Brazil). Vitoria lost their last 4 games in Serie A (Brazil). Chapecoense scored in last 5 home games in Serie A (Brazil). Santos scored in last 5 games in Serie A (Brazil). Chapecoense scored in last 5 games in Serie A (Brazil). Gremio has under 2.5 goals in their last 4 away games in Serie A (Brazil). Palmeiras won their last 3 games in Serie A (Brazil). Vasco da Gama scored in last 5 games in Serie A (Brazil). Internacional scored in last 3 home games in Serie A (Brazil). Palmeiras scored over 1.5 goals in last 3 games in Serie A (Brazil). Vasco da Gama has under 2.5 goals in their last 3 games in Serie A (Brazil). Internacional allowed opponents to score over 1.5 goals in last 9 home games in Serie A (Brazil). Coritiba scored in last 4 away games in Serie B (Brazil). Coritiba scored in last 4 games in Serie B (Brazil). Figueirense scored in last 7 home games in Serie B (Brazil). Coritiba allowed opponents to score over 1.5 goals in last 6 games in Serie B (Brazil). 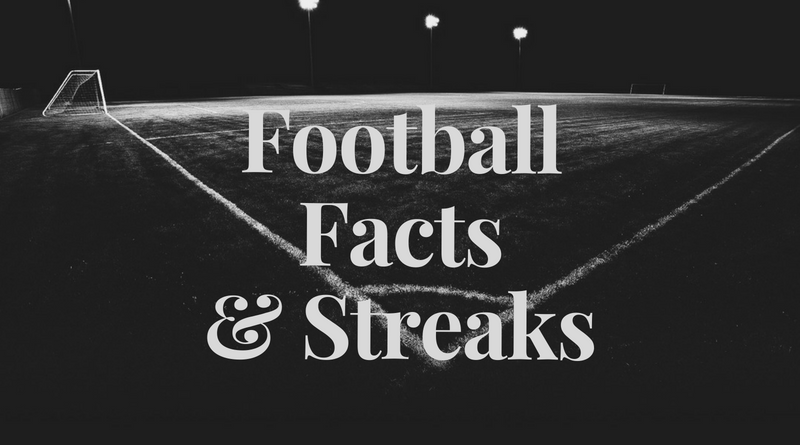 Sao Bento SP has over 2.5 goals in their last 3 away games in Serie B (Brazil). Londrina has under 2.5 goals in their last 5 games in Serie B (Brazil). Londrina won their last 5 home games in Serie B (Brazil). Londrina scored in last 10 home games in Serie B (Brazil). Sao Bento SP scored in last 6 away games in Serie B (Brazil). New England Revolution has over 2.5 goals in their last 3 games in MLS. Orlando City lost their last 9 away games in MLS. New England Revolution scored in last 6 games in MLS. New England Revolution scored in last 4 home games in MLS. Orlando City didn’t score in last 3 away games in MLS. Santa Fe has under 2.5 goals in their last 4 home games in Primera A (Colombia). Atletico Junior scored in last 5 games in Primera A (Colombia). Estoril Praia scored in last 11 games in Segunda Liga (Portugal). Estoril Praia has over 2.5 goals in their last 5 home games in Segunda Liga (Portugal). Varzim lost their last 3 games in Segunda Liga (Portugal). Estoril Praia lost their last 3 home games in Segunda Liga (Portugal). Estoril Praia scored in last 6 home games in Segunda Liga (Portugal). LDU Quito has under 2.5 goals in their last 4 games in Serie A (Ecuador). LDU Quito scored in last 7 away games in Serie A (Ecuador). Universidad Catolica scored in last 4 home games in Serie A (Ecuador). LDU Quito allowed opponents to score over 1.5 goals in last 4 games in Serie A (Ecuador). Universidad Catolica allowed opponents to score over 1.5 goals in last 3 games in Serie A (Ecuador).